LPC provides a complimentary virtual consultation to discuss design, theme, color scheme and details of the client’s event. We always encourage clients to send us inspirations photos, so we can have an idea/concept of your event vision. After placing a $95 deposit (deducted from total cost of order), clients will receive sample featuring the design option 7-10 days after their consultation. Clients are entitled to three revisions before a physical sample is produced. Contracts must be signed and payment for 50 percent of the total cost must be provided prior to orders being sent to print. Clients have final approval before order is executed. Rush orders must be paid in full before printing. Once content is reviewed and approved by client, order will go to print and any revisions made following that will incur additional charges. Final payment is expected once order is complete. Stamps and any shipping costs are to be covered by the client; order can be picked up or delivered. There are different types of printing methods. Below are the 3 most popular ones in which can be combined with one another. Digital printing is the most commonly used method. it is fast and more economical than the alternatives. there are no limitations on the amount of colors that can be printed on the invitation. This printing process is very similar to letterpressing. it requires a metal die, heat and pressure to seal a thin layer of foil to the CARD STOCK. FOIL Film can come in metallic or solid colors. the above invitation has a metallic foil film highlighting the details. the content of the invitation is printed on a letterress machine. LETTERPRESS printing is an entirely hands-on process that takes time to perfect the design. 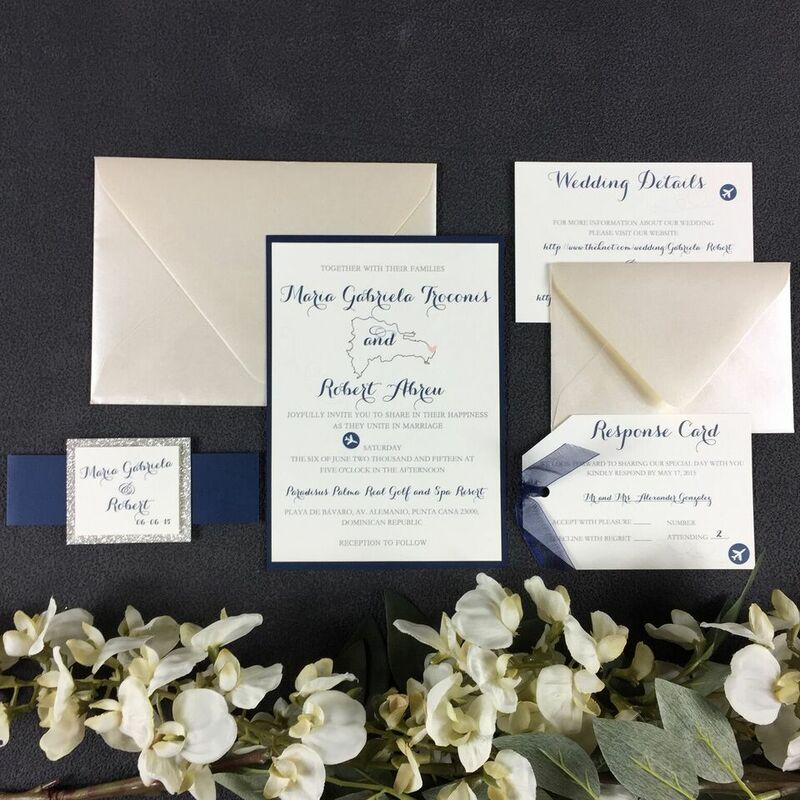 This printing machine needs a metal die (plate) that is inserted into the press which creates an impression on the paper from the transferred ink..
the above invitation is printed with one color.